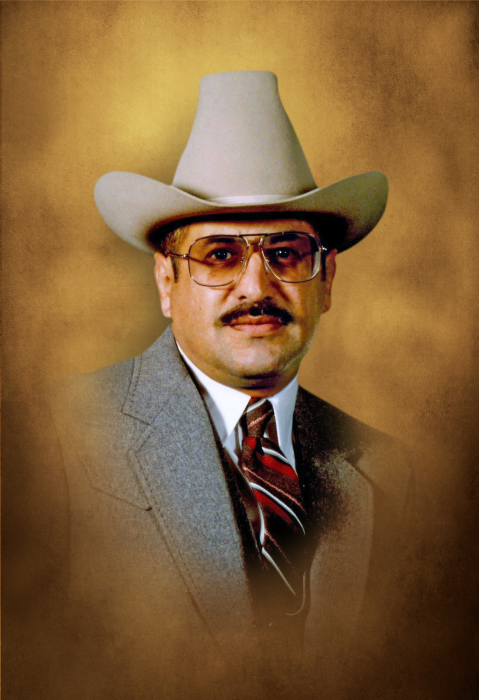 Trenida H. "Dino" Longoria, age 76, of Copperas Cove passed away on Thursday, January 31, 2019. A Memorial Service will be held at 2:00 pm, Thursday, February 7, 2019, at Scott's Funeral Home of Copperas Cove with burial at the Copperas Cove City Cemetery with military honors. Dino was born on October 9, 1942, in Floresville, Texas to the late Ramon and Santos Hoyos Longoria. Dino graduated from High School in Corpus Christi and joined the United States Army in 1961. While serving in Germany, he met Ilse Kemnitz and they married on March 6, 1965. She joined him as he continued to serve and he retired after 27 years of service in 1989. Dino served in Vietnam and Korea. After his retirement, he volunteered for crime victims in Temple for over 10 years. He also enjoyed woodworking and giving his items away as gifts. Dino was preceded in death by his parents; son, Robert Longoria; brother, Raymond Longoria and a grandson, Mathew Anderson. Dino is survived by his wife, Ilse Longoria; children, Bettina Bates and husband, Gene, Roberta Carlisle, Dino Longoria and wife, Karen; brother, Johnny Longoria and wife, Norma; nine grandchildren; eight great-grandchildren and numerous nieces and nephews.